Police are asking for the public’s help in finding a 38-year-old woman missing from the Dunning neighborhood on the Northwest Side since Friday morning. Sylvia Sobolewska is missing from the 4000 block of North Pontiac, according to a missing person alert from Chicago Police. She has not been seen or heard from since 8 a.m. Friday and she speaks with her best friend on a daily basis. Sobolewska has bipolar disorder and depression, police said. Sobolewska is described as a 150-pound, 5-foot-5 white woman with blond hair, blue eyes and a medium complexion, police said. She was last seen wearing a white jacket and black pants. Her vehicle, a four-door Silver 2012 Toyota Yaris with a license plate of S276650, was located about 10 p.m. Monday in the parking lot of the DuPage County Circuit Court, at 509 N. County Farm Rd. in Wheaton, police said. 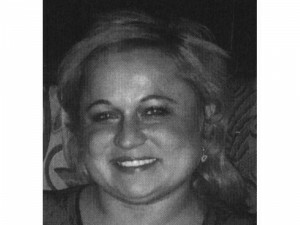 Anyone with information on Sobolewska’s whereabouts is asked to contact Area North detectives at (312) 744-8266.